In 2015 the then Secretary Graham Brown received an unsolicited email from a chap in the US wanting to use some of the photos from our website. Graham passed the email to me and I corresponded with the chap over a few images and thought nothing further. We get a few emails like this – the last USA one was asking about the specification for a doll (I sent a couple in the post). A couple of weeks ago the same chap, Rhett Krause of Massachusetts contacted the Chairman for his address as ‘I have something to mail to the League, but need an address.’ James passed the email to me and I immediately recognised the name. Oh. He’s written the leaflet! 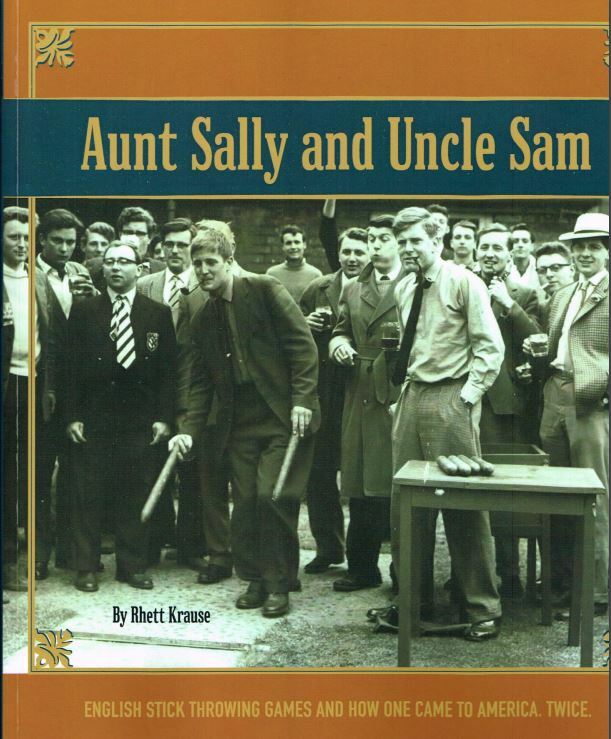 "It struck me that a simple work of perhaps two pages would explain all [of Aunt Sally] to the audience. My initial goal was as simple as that." Those interested to view a copy can contact me. Rhett had also donated some to other leagues that contributed and also donated 6 copies to Charlbury Beer Festival for charity auction. 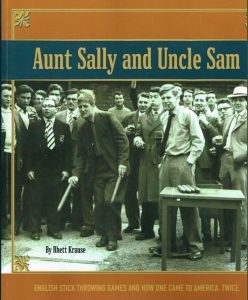 Aunt Sally history has always been something of a mystery and this chap has done his best to uncover some of it and we thank him for it. You can order a copy online but shipping costs can be prohibitive i.e. the book costs $30 and shipping is $55-100+. See Levellers Press.